What is a “reference recording”? You will hear me speak of “reference recordings” a great deal in this blog. These are go-to recordings I use to compare and contrast sound quality when evaluating new gear and/or tweaks I’m making to an existing system, room, speaker placement, etc. My reference recordings have a few things in common, such as phenomenal dynamic range and a large variety of instruments and nuances of musicality. They are typically recorded by the most fastidious sound engineers in a fashion that provides reproduction as close to the source as possible, though there are also some “happy accidents”. With precious few exceptions, they are fully analog recordings. Which mean’s they are vinyl records (side note – some exceptional recordings were released from the original analogue master tapes directly to reel-to-reel analogue tapes, but these were the exception rather than the rule). I also have a few digital reference recordings, and they offer the best sound quality I’ve yet heard from the medium, such as: Blade Runner Soundtrack from Vangelis (DSD), Whites Off Earth Now by The Cowboy Junkies (DSD), and a sample track from Blue Coast Recording called “Cali” (Direct to DSD). 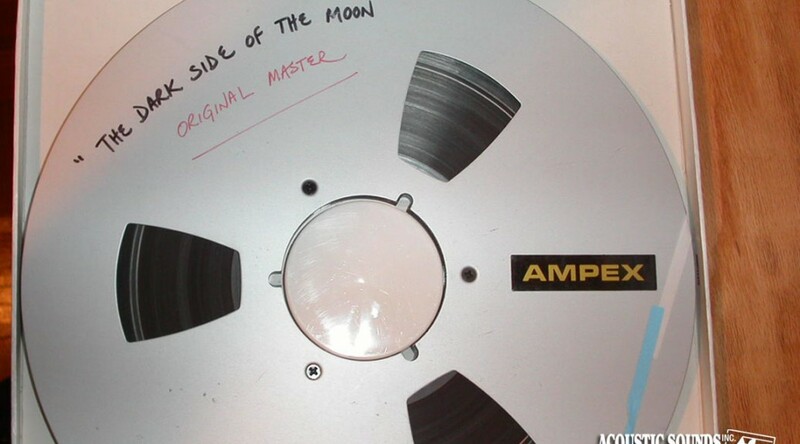 A little research showed that, due to budget constraints, Whites Off Earth Now was originally recorded directly to analogue master tape in a garage using a single ambisonic microphone. This is far harder for the band to perform, sort of like the Direct to Disc (If one format is better than another, why doesn’t the music always sound better?…) titles offered by Sheffield Labs back in the 70s, This was one of the happy accidents where their low-budget recording method resulted in a raw and visceral quality that would have been lost in an expensive recording studio. And thank goodness they couldn’t afford a professional sound engineer using Pro Tools digital mixing and editing software that would have PCMed all over their original analogue goodness. Then Mobile Fidelity Sound Labs later did their digital magic by carefully transferring the music directly to DSD from these original master tapes (once again, no digital mixing). On a good system that is properly set up, it really does sound like you are there in the garage with the band. Sometimes less is more. This is clearly one of those times. Vangelis’ studio used to record the Blade Runner Soundtrack had analogue tape machines to record the original master tapes, shown at the bottom of this illustration. Most of my vinyl reference recordings have been “old friends” for decades, but every now and then I drop the needle and find a new one. Most notable recent additions are many of the vinyl releases from Nine Inch Nails (Digital distortion in a purely analog signal path. ), David Gilmor’s relatively recent release “Rattle That Lock”, as well as a new discovery of Ben Harper’s “Pleasure and Pain” by Cardas (Pleasure And Pain Ben Harper & Tom Freund). The point isn’t for me to share my “reference recordings”, though a short list may be a useful starting point if you share my music taste. The point is for you to find your own. That’s the fun part. As you upgrade your system you will start to notice that your music collection will take on new life and sometimes you’ll find a revelatory change that makes you want to listen to your favorite albums all over again. Very soon thereafter you will find you have discovered your own set of reference recordings. Enjoy the journey! Previous PostHow to upgrade your existing system without spending a nickel.Next PostDigital distortion in a purely analog signal path.